You are here: Home / 2014 Show Archive / Animals Today – September 21, 2014. Legal challenge to the Phoenix ban on the sale of dogs and cats. Perspectives on breeding and dog overpopulation. Pet store success with humane business practices. To begin this show, Lori was joined by Chris Green, Director of Legislative Affairs, Animal Legal Defense Fund. In December 2013, Phoenix passed an ordinance that would prohibit pet stores from selling dogs and cats obtained from puppy mills. Soon after a lawsuit was filed challenging the ordinance, delaying its enactment. 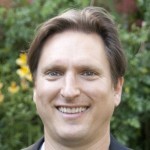 Chris Green provided his perspective on these types of laws around the US, as well as the specifics in the Phoenix case. Chris Green’s bio is here. Then, Lori made her case that we should hold private breeders more accountable for their contributions to dog overpopulation. 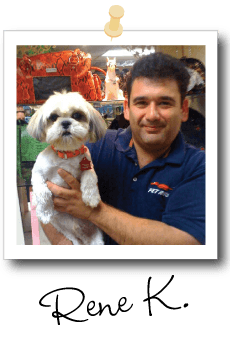 Following this, Lori welcomed Rene Karapedian, owner of Pet Rush in Glendale California and Pet Rush Inn, in Burbank California. 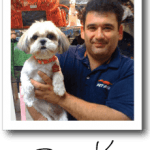 Rene told a heartwarming and empowering story of how he transformed his conventional pet store from one that sold puppy mill dogs to one that sells only dogs rescued form shelters. Business is good! Read about Rene and Pet Rush here.